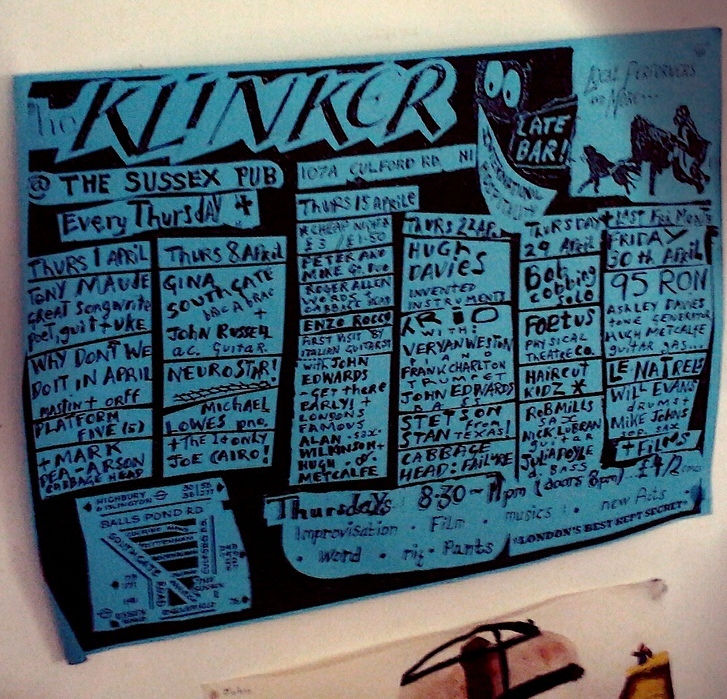 The 1st of April 1999 was our first live performance at The Klinker which was at the time at The Sussex Arms, Culford Road, N1. Platform Five(5) on this occasion was: Kanchi Wichmann, Alaric Pether, Richard Fontenoy & Zali Krishna. 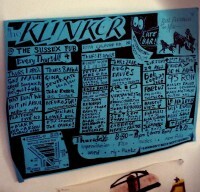 An mp3 of the whole performance in its 21 minute entirety.